The external pressures on the true Christian Church are growing in intensity. Persecution is ramping up; political correctness has made religious expression increasingly difficult; and a government thirsty for more power and money is starting to look to Christian non-profits and churches as the “untapped resource” to financially expand government and humanism. When pressure mounts from the outside, it is crucial that an organization be strong on the inside. But there also the Church is facing serious problems as the traditions of men try to nullify the eternal principles and teachings of God’s Word. Human doctrines that directly contradict the Word of God are spreading within professing Christianity and many are being led astray by human doctrines that feed our flesh. Each views the other as dangerous and a threat to Biblical Christianity. We owe it to our young people to get back to the Gospel that saves the soul and expunge so-called feel-good philosophies of man. 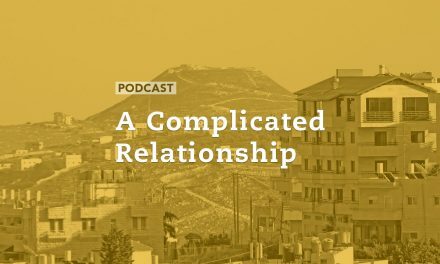 We’ll discuss some of the internal pressures the Church is battling–and offer solutions–with Dave Wager and Jeff Strommen of HopeNet Radio this morning. 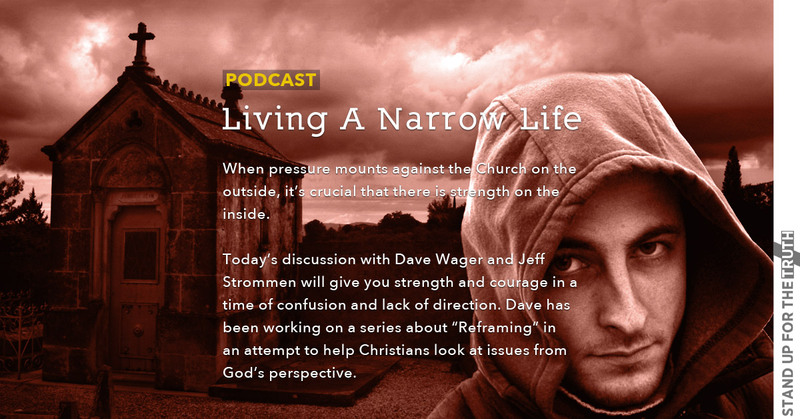 Dave has been working on a series he calls “Reframing” in an attempt to help Christians look at issues from the perspective of God instead of Man. Can God love you more? How you answer that question can point to which camp you find yourself in. If God can love you more, and His love is based on good performance (whether seen or unseen – think appearance or how many times a day you pray or read your Bible), then you would probably fall on the legalism side. Your life is set up to earn God’s love by your actions or some other kind of self-willed strategy. But if God can’t love you more than He does right now, you could fall into a life that is full of pleasures and other worldliness because, hey, God can’t love you any more (or any less) than He does right now. The thing about legalism is that it’s not necessarily wrong if my perspective is about loving God (humility) and not loving myself (pride). Christians need to also be aware that there are things we do (knowingly or unknowingly) that can cause another to stumble. And this isn’t a good thing either. 1 Timothy 3 talks about some basic requirements of leaders. And the reality in all of it is to understand that with freedom comes responsibility. Every Christian will stand before God one day to account for what we’ve done with what He has given to us. Legalism is a way of conditioning. As Dave Wager said on the program, “Being conditioned isn’t wrong. Leaving them conditioned is wrong.” This is seen as young people leave home for the first time after having parental rules over them for so long. They haven’t really understood why the rules were there and how many, not necessarily every, rule was in place to help them succeed in life. Some parents parent with the end goal of teaching their kids to love God and love others. 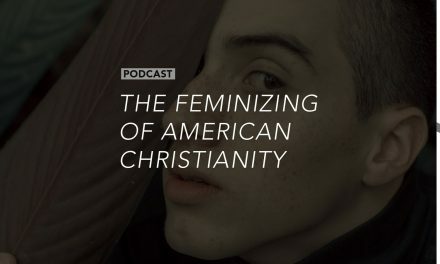 However, when Christian teaching moves away from Gospel-centric teaching to oversimplified self-help strategies, this is where our young people end up falling away from faith. Legalism in and of itself is not wrong. But like its counterpart, it can be just as detrimental to this next generation if our parents, teachers, pastors and church leaders don’t help them understand why living the narrow life is important. Am I living my faith out of convenience or compassion? Am I living my faith in a way to seek approval of men or of God? Leave us your thoughts in the comments below or contact us. NextCan The Truth Be Heard In A Room Full Of Doubters?